Neurotic, OCD Holly Gibney, one time assistant to retired Detective Bill Hodges (of Mr. Mercedes fame), works for a little agency called Finders Keepers. She doesn’t mind that the work is mostly finding strays and tracking down derelicts. But one day she gets a call from a lawyer in Flint City Oklahoma. They have a tragic case on their hands, a child molestation and murder supposedly perpetrated by the most popular guy in town: Terry Maitland… high school English teacher and coach of the little league team. Never mind that Terry has a perfect alibi and impeccable witnesses who can attest to his whereabouts at the time of the murder. The case against him is so strong that he’s arrested in public near the very end of a championship little league game, and things spin disastrously out of control from that moment on. Apparently, the coach spent a few weeks that summer in Ohio where Holly now works. He was visiting his invalid father in a nursing home. The police want Holly to investigate Terry’s activities and associations while he was there. Holly does her usual letter-perfect job and soon finds that, as in her last case with Bill Hodges, there are almost certainly supernatural forces at work, forces that can even explain how Terry could be in two places at the same time. Holly deduces that the real killer could, in fact, be the latest incarnation of el cuco the monster from Mexican movie and childhood lore, the beast that eats little children, feeds on their fear and steals their souls while easily assuming the identity of someone they know and trust. Holly calls it THE OUTSIDER. Holly takes a plane down to Flint City, meets with Ralph Anderson the detective in charge of the case, and she soon convinces him and others involved that the only logical explanation, realistic or not, is that Terry was in two places at the same time… or make that Terry and the Outsider that stole his identity right down to his fingerprints and DNA. 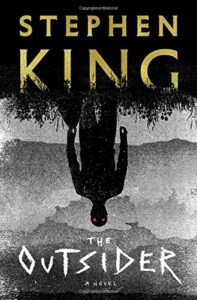 Holly and the others track the monster into South Texas where there’s a confrontation that’s one of the most blood-curdling Mr. King has ever written. 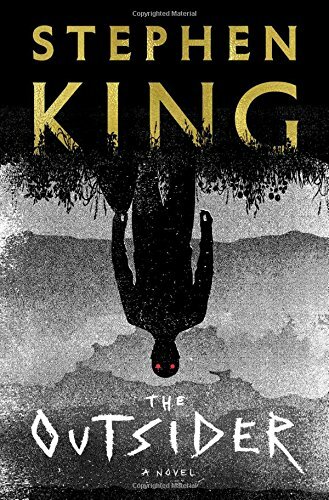 It’s quite a ride, compelling, fascinating, terrifying, and pretty good evidence of how and why King can keep turning out bucketsful of spectacular fiction as he moves well into his 70. He loves his characters. He cares about them. He enjoys being with them. He challenges them and they come through for him again and again: Holly, Ralph Anderson, and especially Coach Terry and his family who’s fate draws us into the story so completely that the first third of the book is absolutely impossible to put down. And then things really get going.